"Boomer" is a stunning young pup and now resides in the USA. Kim and Jim have plans to take "Boomer" to Canada to be shown in the conformation ring. Both Kim and Jim are working along side other Aust. 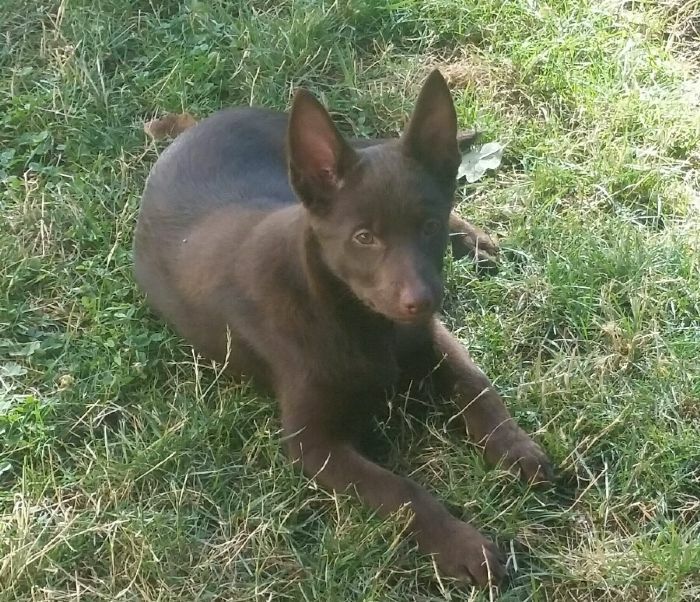 Kelpie breeders to establish the Aust. 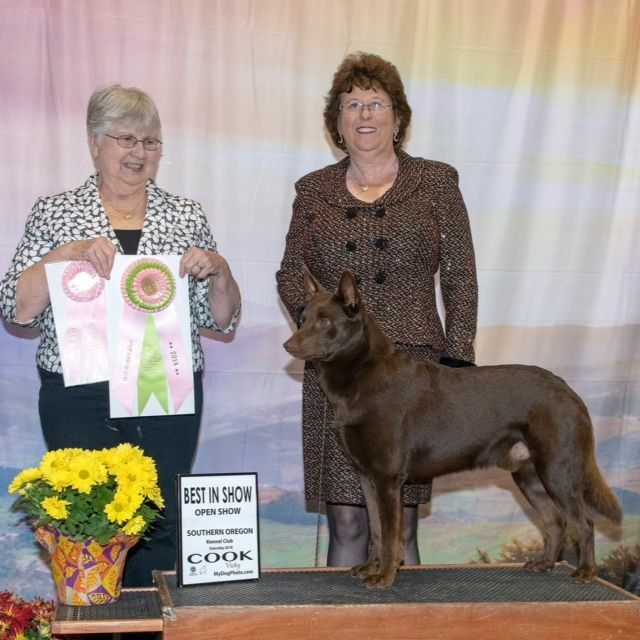 Kelpie in the Conformation Ring in the USA. 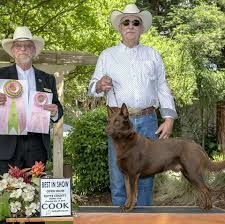 Thank you for working towards making the Australian Kelpie recognised in the USA. Kim and Jim are also looking at training "Boomer" herding, agility and other dog sports. Good luck Kim and Jim with this bundle of joy.